Dell’s XPS 14z is the slimmer, newer version of XPS 15z which was very excellent. In 2011 XPS 15z was one of the laptops that were highly rated. But the question is, how this laptop will perform in the market when compared to its original. The following is an analysis of the laptop. Like other Dell computer this computer has some very good looks. It is as beautiful as XPS 14z which was released earlier. The metal finished which is brushed has a solid feel and so are its looks. It is hard for this laptop to get scratched. Its aluminum lid, which is very thin, is also able to withstand a lot of abuse. Those users who are clumsy will definitely love this computer. It is as if it is Bruce Lee who was reincarnated when this laptop was made. 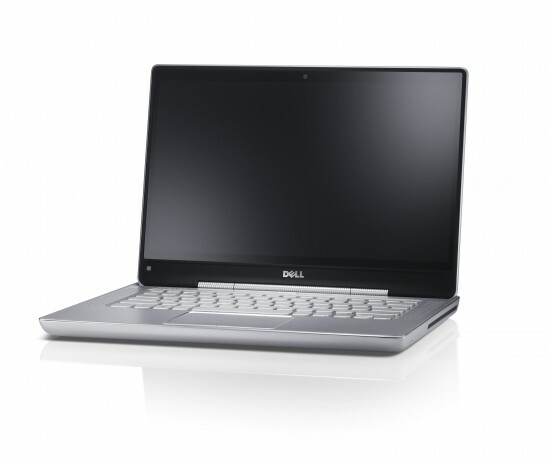 It was a big surprise when Dell announced that they were to manufacture a 14 inch laptop; a version of its 15 inch. Most people expected that the difference in size would not be that big. However the reduction in weight and bulkiness is quite impressive. Being less than 2kg, the XPS 14z is lighter than XPS 15z. It is also more compact compared to its sibling. The key board come in a curved design and is backlit. The size of the keyboard is good and is comfortable when typing for long periods. The only casualty is its arrow keys which are tiny and are put together in a single row. The keyboard is also spill-resistant and the touchpad is spacious. Lid hinges which are stiff and a screen that from vertical tilts back only 45 degrees can be said to be the only shortcoming, when it comes to design. Even when many applications are run at the same time, no slowdown is observed in this laptop. This is due to a big memory that this laptop has. The memory in this laptop is 6GB, thus making it work fast even when many applications are running at the same time. The laptop has a graphics card that is Nvidia GeForce GT 525m.When it comes to video editing the software for doing that in this laptop is top notch. HD movies also play in a perfect way in this laptop. The laptop is quiet and cool despite the packing of components which are very powerful into its chassis, which is slender. It is only after inserting a DVD into this laptop that that you hear some noise. As long as where you are operating your laptop is well ventilated, the chassis will maintain a good temperature. The battery life of this laptop computer is superb considering its excellent performance. It can play a HD video for 200 minutes before it dies. This puts it ahead of other multimedia laptops, and took only thirty minute less than its sibling XPS 15z, when placed under the same conditions. When it comes to those who travel regularly, what they need is a laptop that has a hard drive which is sizeable. This will help one to carry a lot of media collection. This laptop has a 500GB capacity so it won’t disappoint. Its drive spin is fast meaning software can be downloaded quickly and movies can stream in a perfect way. The laptop also has a1.3 webcam, which one can use to chat with family and friends. If you are a person who is always on the move, this is a good computer to keep you always entertained. It performance would perfectly suit you.